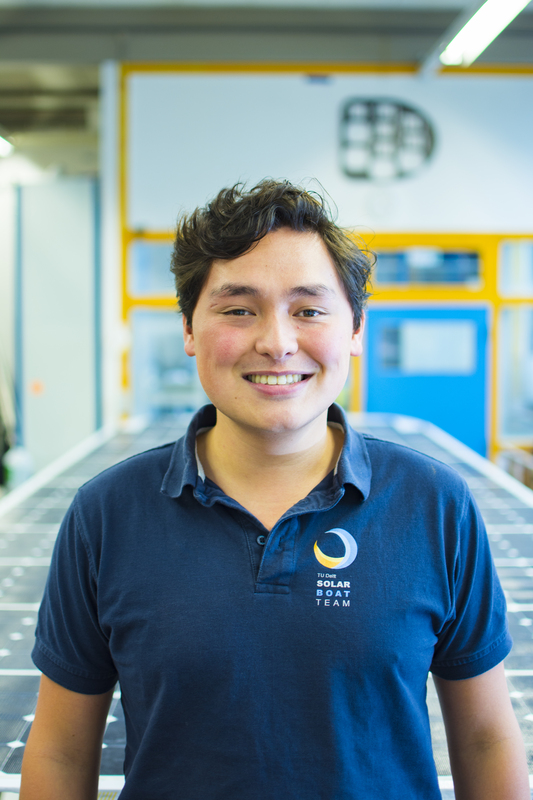 My name is Martijn, 20 years old and I joined the Solar Boat Team because I wanted to get some hands-on experience in engineering. I finished my bachelor's in Aerospace Engineering last year and I felt the practical experience was really missing.Additionally, I didn't feel ready for a master's degree yet, so the opportunity to participate in a project like this could not have come at a better time! Within the team I have two functions. Firstly, I am Chief Logistics, which means that I am responsible for the transport of the new boat. This will be a much greater challenge than other years, since we have upscaled our project quite a bit this year and the Solar Boat will be much larger than it used to be. I really like this function because of the organisation skills that I'll learn this year in making sure the team and boat are in the right location in the right time. Secondly, I am also an engineer in the Vehicle Dynamics department. Within this department I am mainly concerned with the height control system, the system that makes the boat fly and tells the wings how to move to maintain a nice, steady flying height. For this system I am working together closely with Mariëtte from the Electronics department, because this requires a mechanical approach for the physical movement of the wings, and an electrical approach for designing the software and hardware that actually calculate what should happen.